bigup Afropop Worldwide for commissioning this piece. Most definitely not for the faint of heart, made with Berlin’s Berghain Club in mind, this one needs the best sound system you have access to (preferably a Function One), as well as very loud volumes. Techno, an umbrella term for various styles of electronic music, can be characterized by an eschewing of narrative song structure and melodic content to focus on repetitive machine beats, usually with a steady 4/4 kick drum, snares on the 2, and a compulsive high hat in between. A culture of mechanical anonymity and electronic universality, Techno purportedly embodies values from a post-human future, cut off entirely from the mess of our collective past. But reality of the music is the opposite: it came out of specific histories and locations, and is a direct product of both the 20th Century as well as much older rhythmic traditions from the mother continent. Similar to older Afro-American styles like House, Disco, Funk, Soul, Motown, Rock, and Blues, the 4 on the floor beat emblematic of most techno is a good example of the duple rhythm, which became popular in America (and the world) from the legacy of slaves playing African percussion music without drums, with influence from European folk music. Fast forward to the 1980s, Africa Bambataa meeting Kraftwerk was a new chapter of fusion, and produced new strains of African rhythm mutation under new and specific circumstances. The simplicity of the 4/4 duple rhythm and machine sounds spoke to new generations raised in urban industrial settings, and part of its wide international appeal. But in Techno African rhythm traditions survive and thrive, in mutant form, re-imagined and reconstructed based on earlier re-imagination and reconstructions. The brightest minds in modern electronic music have all made use of specifically African musical ideas and rhythm sensibilities, and IMHO, the best Techno is polyrhythmic, a reduced and streamlined version of African percussion. The music of the genre’s most important innovators often includes off-kilter syncopation, beats falling not squarely on the grid, as well as different interlocking rhythms playing at the same tempo, such as 3/4 with 4/4. Often subtle in its interaction with the dominant duple beat, these percussive elements and dynamics are expressive of complex rhythmic sensibilities which are, if indirectly, unmistakably related to African traditions. Today it is no different, many of the brightest minds are making the deepest, hardest, most forward thinking and uncompromising underground Techno with, consciously or unconsciously, African rhythm ideas in mind. Synthesizers play the part of Djembes, bleeps and blurps are drum accents: the African-ness of these beat patterns may be more obvious to me and others who spend a lot of time with African music, but I think will also become apparent to anyone who has an open mind and really listen. If dance music itself can be defined as the design of sound patterns according to, and for, the proportions and speeds of the human body – African traditions have had many tens or even hundreds of thousands of years to perfect exactly this. Techno is often said to be about “functionality” on the dance floor – for this reason it makes sense that the evolution of new dance music should increasingly look to Africa for inspiration. just in: the good people at Berghain also wants to hear this in the space for which it was intended: come hear an extended version of this set on 7th of March, with Untold and 2564. 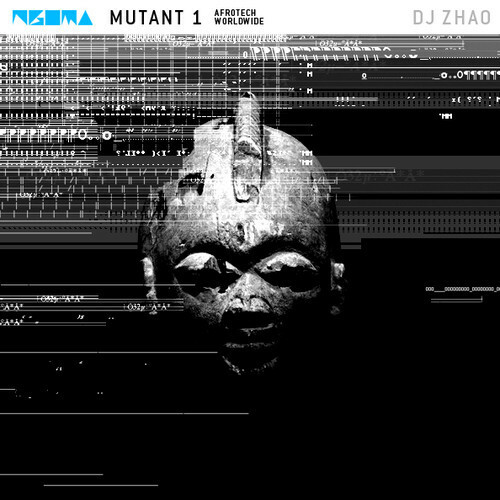 This entry was posted in Mixes and tagged Africanized, Mutant, techno by ngomasound. Bookmark the permalink.